If you haven’t heard – and you probably haven’t – Washington Governor Jay Inslee is running for president. Despite his apparent green credentials, Inslee was apparently dumbfounded at one of the most basic questions you can ask an environmentalist – how to recycle. Inslee demonstrated a common problem with the environmentalist left. They are high on rhetoric, low on details. It’s no surprise that Inslee was struggling to explain his environmental agenda, as he’s completely failed to implement it in his home state. This is a good thing because his agenda was dangerous. Inslee tried multiple times to force through a carbon tax on the people of Washington – a regressive tax that would have hit low-income families the hardest. It would have meant higher energy prices and more people being unable to afford their bills. 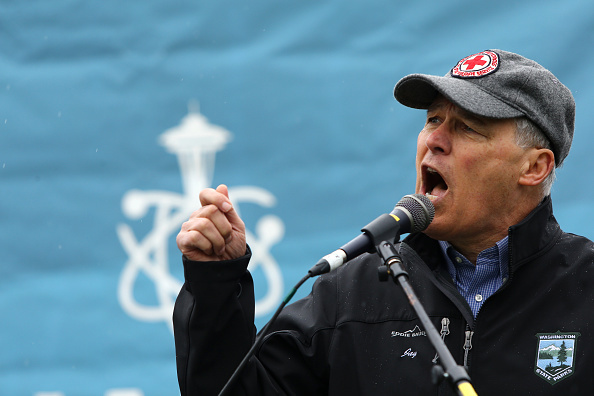 Fortunately, voters rejected Inslee’s extreme eco-agenda – twice. After embarrassing himself in front of a national audience, does Inslee have a chance at becoming president? Anything is possible, but this does not bode well for him.